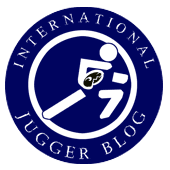 For years, Alejandro Asensi travelled to Juggers around the world to complete his the "I am Jugger" documentary. Interviews with Jugger players and Jugger community brains of many countries and insights into many international tournaments shed a brilliant light on the complexity of this unusual sport. 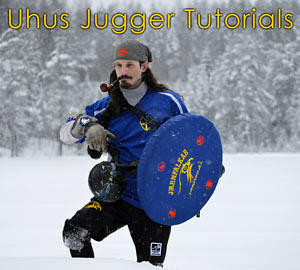 The Uhu has started making a new series of Uhus Jugger Tutorials: Short clips of 1-2 minutes length, quick, focused instructions, tips and tricks. I am Jugger follows Jugger players all around the world and will share the lives of these young athletes; their impressions and styles of play, capturing the passion they feel for this sport and show the differences to other major sports and the activity in different countries like Spain, Germany, Ireland and United States. We travel with a select group of jugger players to the World Tournament in Berlin, where they will try to win the ultimate prize in this relatively unknown sport. We will see different explanations of the rules, styles and strategies used by different teams, and follow them as they train and prepare for games together. (Just a word of warning, IndieGoGo seems to think that eating processor time through shiny app overload is a good idea). Introduction – some words on the background. Basics of Pompfen making – just some general thoughts on the materials used to make Jugger spars. The Shield – two different designs, strap and wooden grip, and basics about how a shield is made. Basics of playing the Jugger shield: Stance. Oh and sorry for my English folks, I am quite focused on Swedish at the moment – I nevertheless hope you enjoy the videos! Complete playlist, all parts including shield fighting basics. Here are some more (partly quite unusual) videos from other countries. Thanks to Jugglers Jugg for collecting them!